A-HOTEL.com - Luxury and cheap accommodation in Visby, Sweden. 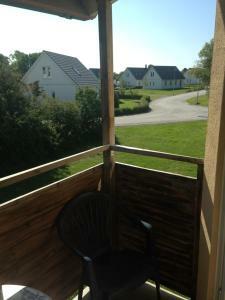 Prices and hotel, apartment booking in Visby and surrounding. This indicative offer was derived from the most recently booked accommodation in Visby and sort by the price, from cheapest Visby accommodation to the most expensive hotels. To select accommodation by your preferences we recommend to choose from 89 accommodation offers in Visby in total. By entering the dates of your overnight stay in Visby and using the filter tools you can sort the best possible accommodation for you. The entered dates of your stay are crucial for the most accurate offer as it derives all the online information on pricing and availability of Visby accommodation. Then you can book the selected Visby lodging (hotels, apartments etc.) immediately. This apartment hotel lies 1.5 km from Visby’s main square and 15 minutes’ walk from the Östercentrum shopping centre. Visby Innerstad Lägenheter & Rum offers spacious, self-catering apartments as well as guest rooms. The property has a large terrace, situated directly on the medieval city wall of Visby. This design hotel is housed in a medieval, 14th-century building, only 100 metres from Visby Cathedral. Free WiFi is offered. This holiday village lies by the beach, 3 km north of the medieval town of Visby. It offers free parking, a beach sauna and a communal laundry room. Located in Visby, just 700 metres from Almedalen Park, Villa S:t Hans offers accommodation with barbecue facilities and free WiFi. The accommodation is 700 metres from Wisby Strand Congress & Event. Barbecue facilities is available on-site at Lägenhet Visby, which is located in Visby, just less than 1 km away from Almedalen Park and an 11-minute walk away from Wisby Strand Congress & Event. Free WiFi is available in this apartment, set 1. This intimate hotel is centrally situated 50 metres from Visby’s harbour and about 5 minutes’ walk from the popular shopping street, Adelsgatan. It offers free WiFi and cosy, bright guest rooms. Offering rooms and apartments, Mullbärsgårdens B&B is just 2 minutes’ walk from Stora Torget square in Visby. The Visby Medieval Wall can be admired from the property as it borders the garden. Located by Norderstrand Beach, this property offers guest rooms and apartments in Visby and just 1 km from Visby’s UNESCO-listed medieval town centre. It offers free WiFi, an outdoor pool and a large terrace. Surrounded by forest 4 km outside Visby, this hostel offers a guest kitchen and TV lounge, bicycle rentals and a barbecue grill. Visby Ice Rink is 50 metres away. Situated within less than 1 km of Visby Ferry Terminal in Visby, Ravinstigen Visby Lägenhetshotell features accommodation with free WiFi. The accommodation comes with a fully equipped kitchenette with an oven, a flat-screen TV and a private bathroom with a bath or shower. This harbour side hotel is just across the street from Gotland’s ferry terminal and 10 minutes’ walk from Visby’s medieval city centre, itself a UNESCO World Heritage Site. WiFi internet access is free in all rooms. Housed in a former brewery in the UNESCO-listed Visby city centre on Gotland Island, this eco-friendly hotel is 150 metres from the Baltic Sea. It offers free WiFi and access to a wellness centre with 2 saunas and a small pool. This hotel is right next to Gotland Museum in Visby’s medieval city centre, 500 metres from Visby's sea front. Hotel Visby Börs offers a variety of suites, rooms and apartments in different stiles. Hotell Slottsbacken is just a few minutes’ walk from Visby’s main street, Adelsgatan. A minibar and a 32-inch flat-screen TV with cable channels are standard room features here, while WiFi is free throughout the premises. 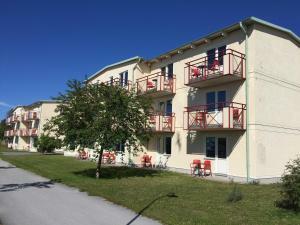 This apartment hotel is in central Visby, at Wallersplats Square. All apartments include light equipped kitchen facilities, suitable for preparing breakfast, and cable TV.